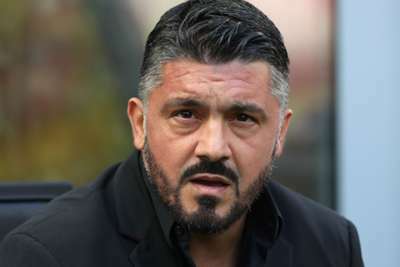 AC Milan head coach Gennaro Gattuso believes his side's improved mentality over the past month could give them the edge over Inter in Sunday's derby. Defeat to Luciano Spalletti's side would leave Milan seven points adrift of their city rivals and pile the pressure back on Gattuso. However, the Milan boss is confident his side's recent good form can give them the impetus to take maximum points. "We have improved a lot in terms of mentality in the past month," he told a media conference. "The team is improving. We need to play well in both attack and defence and know when to suffer and when to be in control of the game. "In terms of mentality we must not feel too much pressure and lose energy on the pitch. Inter are a strong team, physical and with quality players. We must not be afraid and play like we know how. "Inter are playing really well and we need a really great game without any fear." Despite Inter's position ahead of Milan in the Serie A table, Gattuso believes he has more quality at his disposal. "If we look at the individual players they all have different characteristics," he added. "As of today, Inter are more physical, this is the main difference. In terms of quality, I don't feel they are better than us – I think we might be a bit better." "This season the team is more complete than last year," he said. "We were wasting too many chances last year. Gonzalo has raised the bar and the new arrivals have given us a great hand."